Elizabeth Hastings Middle School eighth grade student Brooke Boucher is part of a local vocal trio called B.L.C. that enjoys performing all over the Southcoast area sharing positive messages. Brooke, Liv, and Courtney of B.L.C. love to give back to their community and have teamed up with the “Friends of Jack’ program to collect new stuffed animals to provide sick children who are in the Southcoast hospitals. 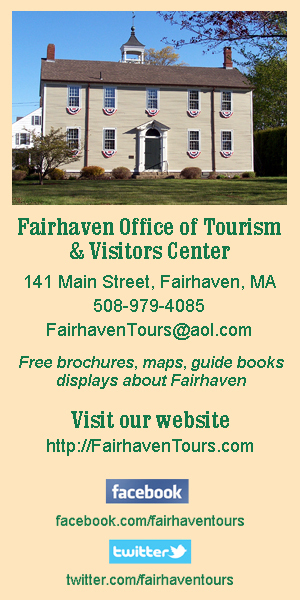 If you’d like to donate, drop off NEW Teddy Bears only at EHMS, 30 School St., Fairhaven, 508-979-4063. Stuffed animals must be new, have no removable items, and no googley eyes. 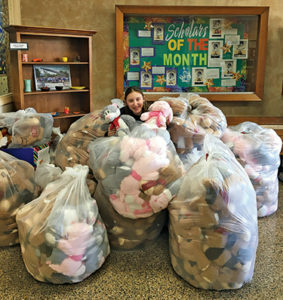 Brooke Boucher with a big pile of Teddy Bears that will be donated to patients in the three hospitals of the Southcoast Hospitals Group. Submitted photo. 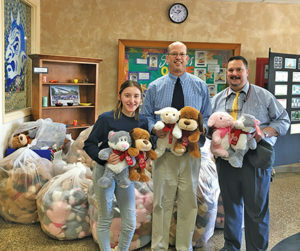 L-R: Brooke Boucher of singing group BLC with Michael Borden and David Branco of the NB Probation Department hold some of the stuffed animals donated by PetSmart in Fall River that will be donated to patients in the three hospitals of the Southcoast Hospitals Group. Submitted photo.